Idahani has been advising clients on mergers, acquisitions and joint ventures, both domestic and cross border, in various industries. Idahani has a particular focus on financial institutions, automotive, education and manufacturing sectors. Idahani has handled numerous corporate exercises involving major due diligence and submissions to regulatory authorities. Idahani joined the firm in 2003. 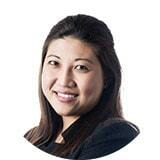 In 2007, Idahani joined a luxury fashion and lifestyle retailer in Malaysia as the group legal counsel. She subsequently re-joined the firm and was admitted to the partnership in 2011.